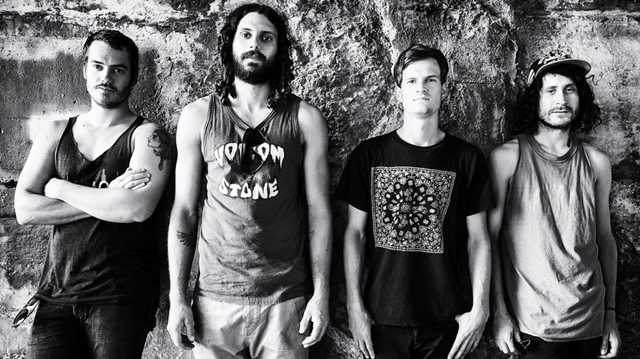 Occult Rock Magazine: ALL THEM WITCHES SHARE A NEW TRACK, "DIRT PREACHERS"
ALL THEM WITCHES SHARE A NEW TRACK, "DIRT PREACHERS"
All Them Witches, the Nashville psych-rock quartet whose recent Bonnaroo debut was heralded by Fuse, American Songwriter, Consequence of Sound and the Nashville Scene, release their label debut, Dying Surfer Meets His Maker, on Oct. 30 via New West Records. Have a listen to their new song below titled, “Dirt Preachers." The song is one of the nine new tracks recorded during the band’s seclusion at a remote cabin in Pigeon Forge, Tenn.